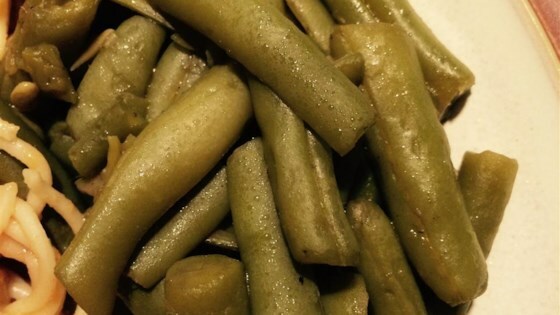 "Just plain green beans that taste great. Originally submitted to ThanksgivingRecipe.com. " I found them water logged and bland. I was looking for something to add to my canned green beans that didn't overpower but gave good flavor! I'll be making this recipe again! quotes from those who have had these: "Better than Grandma's", "out of site", "awesome", "Did you cook these all day?" just plain beans that taste great! couldn't have said it better myself. I substituted chicken bouillon for beef and used frozen green beans and they turned out great.